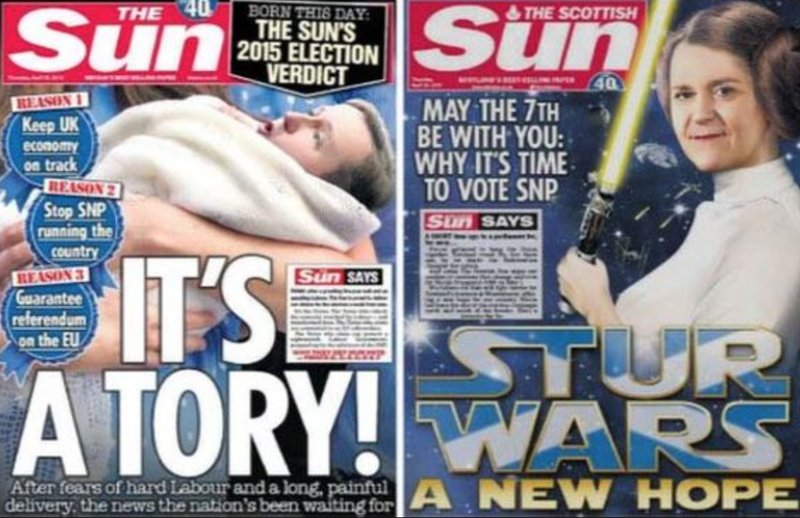 This entry was posted in Media, Politics and tagged #GE2015, Rupert Murdoch, SNP, The Sun, Tories by Rob Skinner. Bookmark the permalink. What amazes me is that I should have published a post on WordPress suggesting a link between Sturgeon and Princess Leia and Salmond and Yoda on the 24th April and the front page image broke days later.